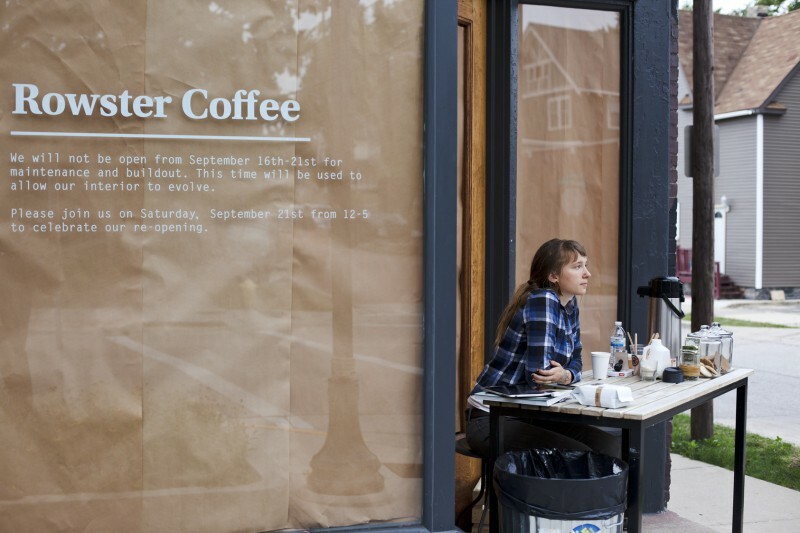 Rowster New American Coffee has a new look. The unveiling took place on Saturday with an open house. "This is not the end of the line. This is the beginning." 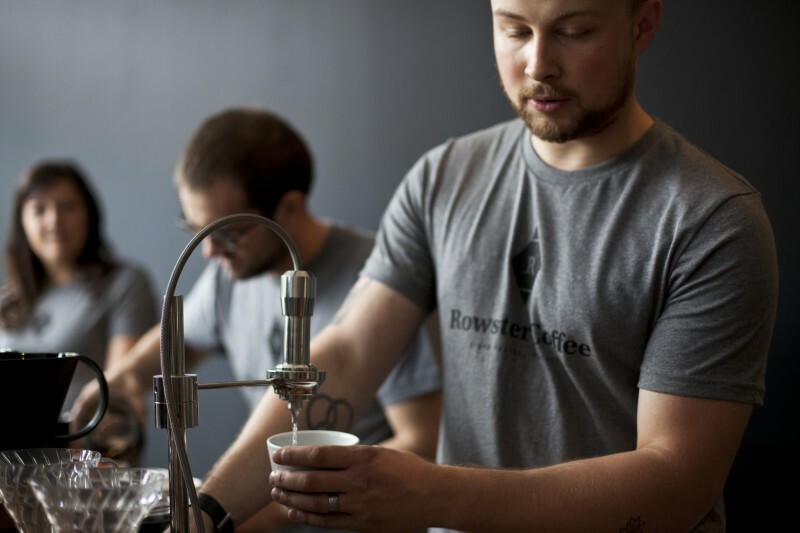 Rowster New American Coffee has unveiled its new interior this past Saturday to the public. The East Hills coffee roaster has changed its look and modified its functionality. Fret not, the coffee has not changed. It's the same recipe that folks have come to love. To be clear, Rowster is not a coffee shop. It considers itself a coffee roastery with a tasting bar. And the new layout reflects this much better, says Justin DeWaard, general manager. The idea to change the look primarily stemmed from the need to offer a more functional space. DeWaard wanted to create a space that eliminates any obtrusion between the customer and barista. This, he believes will allow a more free flow of communication and will help to foster an educational experience for customers. "We are installing a new espresso machine which is the first of its kind. It is a modular based system, allowing the internals of the machine to sit under the counter while the parts the barista interacts with sit on top. This minimal space set up allows maximum interaction between barista and customer. 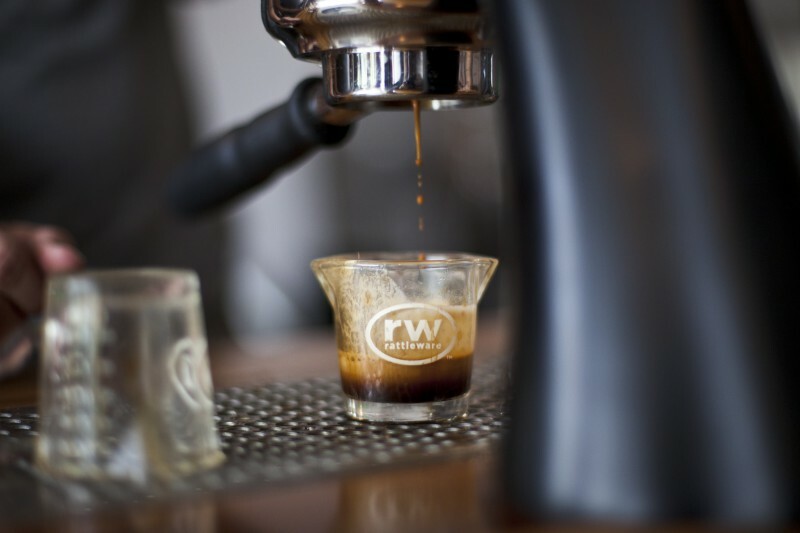 There is nothing for the barista to hide behind, no big anonymous silver box of an espresso machine," says DeWaard. "This also allows maximum education between barista and customer. The customer can see that this hand-crafted approach to coffee is much more than pushing a button." The espresso machine, made by Modbar, is the first to operate in Michigan. Its sleek custom powder-coat black finish matches the reclaimed cypress bar top. The bar is much longer than the previous one, orienting customers to a more intuitive purchasing experience, says DeWaard. With the new floor plan, equipment and custom crafted bar from Grand Rapids' Greenwood Studios came the decision to re-brand entirely. The aesthetic has been devoloping for the past few years and has been envisioned entirely by staff. The idea was to incorporate everything- branding and functionality- under one roof. Literally. "The great part of this story," says DeWaald, "is that the staff has had a huge role in the way the space is laid out and the way it looks. The branding itself was done entirely in house by our staff."